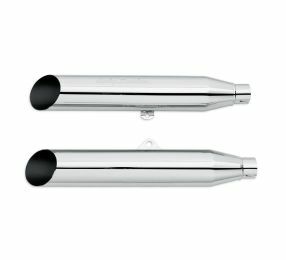 Whether it's performance or looks you crave, Harley-Davidson Screamin' Eagle exhausts deliver. 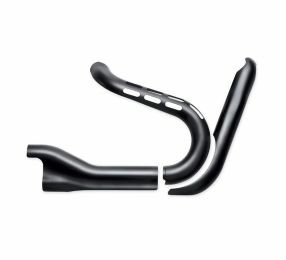 Dual or 2-into-1, black or chrome – H-D has the right exhaust kit for your ride. 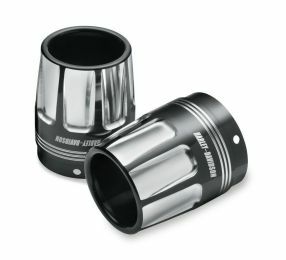 Extend your unique custom look along your bike's entire profile with exhaust shield kits or muffler shields. Available in a variety of eye-catching styles and finishes to give your bike that something extra you've been looking for. Your bike deserves show-winning style to match its high performance. 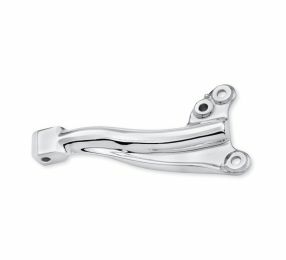 Add the right finishing touch to your Screamin' Eagle exhaust with H-D motorcycle exhaust accessories, including attention-getting exhaust shields and muffler bracket covers.